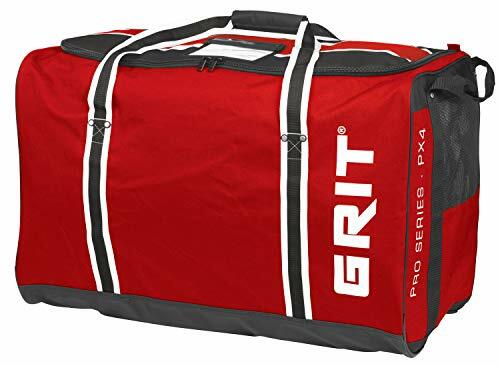 Following are the 5 best hockey bags available on the market right away for 2019. At top of the list, we have Bauer 650 hockey bag. This bag has a 600 denier polyester exterior with ripstop paneling for good durability. There are good quality straps for easy carrying and also end handles as well so that way it’s easy to load in and out of the car. The 650 features an ID window on the top that is pretty for throwing your name or your number in there something to help identify your bag in the locker room. It also has a wide U-shaped opening with full access to your bag. This is also an accessory pocket that zipper right underneath the flap that’s perfect for the tape or pucks or smaller tools out there so that we have easy access. 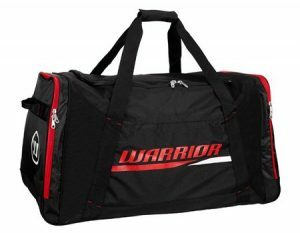 This is the 37-inch bag that can carry full senior setup which includes size 15 for the gloves and the shin guards and senior large for everything else as well as size 8 escapes and so it fit it all with ease. 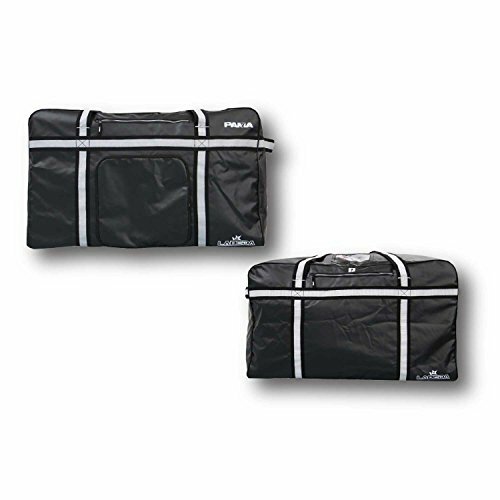 There is plenty room to spare with this nice tall design inside a very durable dual-layered design that helps protect the bag and also protect the gear inside and make sure the bag is a very long lasting and keeps your gear in place. 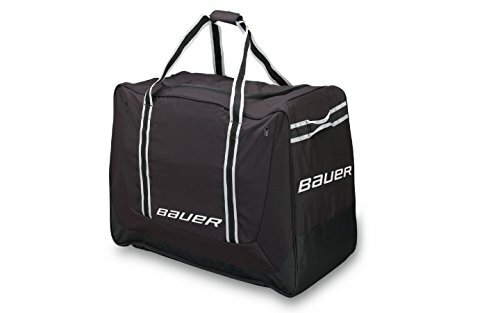 So the Bauer 650 hockey bag also has a wield option that means it has the same construction as this carry bag except it features a solid plastic base inline wheels and a telescopic pole handle. 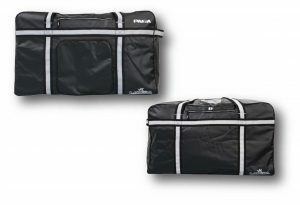 The Labeda Pama 7.1 hockey bag features a heavy-duty tarp construction with the matte finish for a really clean look and durable design. It also features handles on top for easy shoulder caring and also N-handles for easy loading and unloading out of the car. The Labeda 7.1 hockey bag features an ID window on top that way you can put your name, your number in there to help identify your bag easily. On one side, there is a zippered panel that can be used as a pocket. 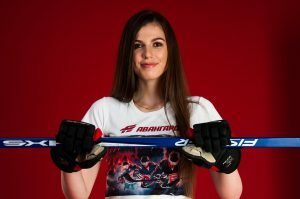 Although, it’s designed 14 embroideries so you can just take it off and give it to an embroiderer and they can customize your team logo right there on the flap. This way you can have access to both sides of the panels and give them a better option for embroidering there so you have a nice team bag. 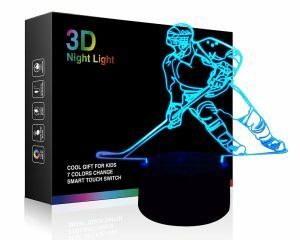 There is an accessory pocket that runs into the NCI to the bag but that is perfect for those smaller accessories like pucks, tape, and the skate tools. It also features insulated cooler pocket so you just open up and then throw your waters, your Gatorade or other frosty beverages into this pocket. There are some ice packs in there and help keep them cool have enjoyed them after the game or during the game. 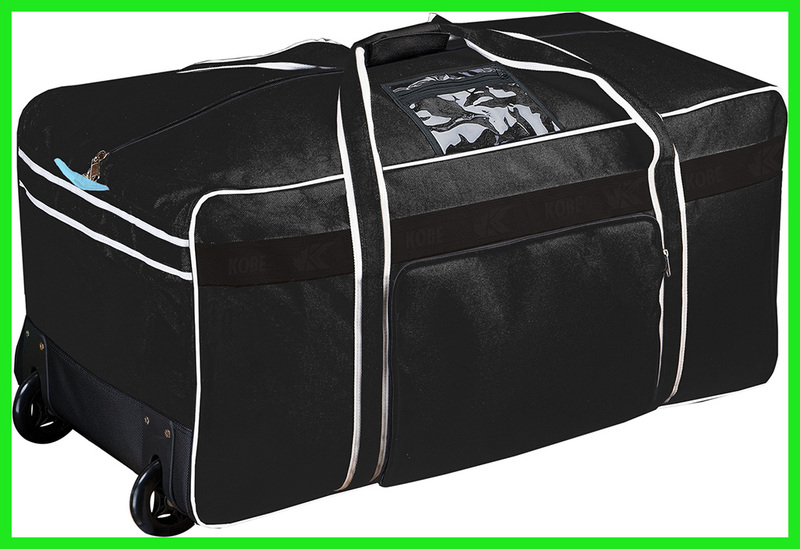 Inside the bag, you will see a nice wide and tall design that can fit a full senior roller hockey set up in there that includes size 8 skates as well as 15-inch shin guards and gloves in a senior large for everything else. The Warrior covert is a hot bag that features a nylon construction along the front as well as a mess construction lying air to flow through and dry your gear pretty quickly. There are nylon carry handles for easy carrying and end strap for easy loading and unloading in a different nylon material that is great for resisting tears. The QRT bag features two side pockets. One is a great skate pocket to fit two sides eight skates in there with room to spare. 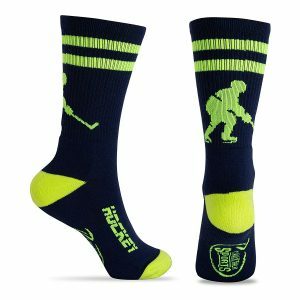 You also have enough room width wise to fit them side by side but anyway this is a nice deep pocket great for your skates. On the other side, we have another pocket that is a perfect accessory pocket as it has two mesh pockets in there with an elastic top so you can just slide in tape pucks really anything you want to throw in there. It also has a lot of Xtreme on outside for jerseys, socks anything else you want to take to the rink with you. Moving on to the inside, there is a wide u-shaped opening with great volume to fit a lot of gear in there. This is a full senior set up with senior large equipment and size 15 for the shin guards and the gloves. So this is going to be nice as it has mesh corners on each side so this will help the air flow through in there and help keep your gear dry and also odor free. 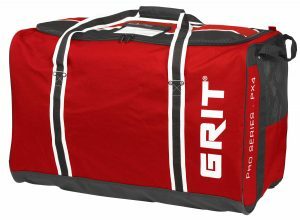 At number four, we have the Grit PX4 Pro Series carry bag. Looking at the exterior, it’s a nice 600 denier polyester material right on top of a nice thick tarpaulin base for strapping. 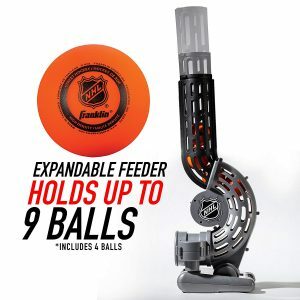 It features a dual-layered nylon strap that has reinforced rivets to give it incredible durability on each end to help you lift it in and out of the vehicle. Another couple pairs of nylon straps there right below with a dual mesh window to allow air to flow through the bag give it a great ventilation system. On the top, there is a nice big player pocket to throw your name and number. In taking a look at the inside of the grip bag, it is got a nice large reshaped opening and inside we have got a senior large hockey setup with 15-inch shin guards and gloves. On each end, we have got a nice mesh pocket to hold your skates and keep them separated from the rest of your gear. 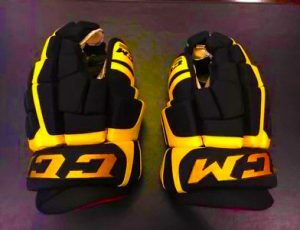 There are another three mesh pockets that allow you to hold your tape, pucks, and mouth guard. Also, it has got a nice contrasted nylon material to give you a better visual when you’re going through your bag. 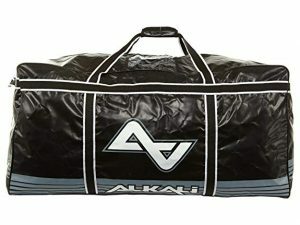 The last but not least in quality and performance is the Alkali RPD Max Plus hockey bag. This is a full heavy duty tarpaulin construction for really heavy duty, durability and waterproofing out there. It also features carry straps on top as well as handles for easy loading and unloading out of the car. This features an ID window at the velcro tab in the front so you can just slide in your name, your number, your team logo in there to help identify your bag. Now we also have a zipper running right down the center for easy access to your bag. This is a very large interior so it is able to fit a full senior roller hockey set up with the plenty of room to spare in fact being able to fit a full senior ice hockey setup in there including the pants and the shoulder pads. So this is a quite a large interior able to fit really anything you might want to take the rink with you. 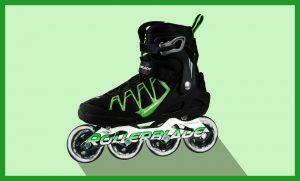 It features a nice waterproof interior to help protect your skates and everything in the locker room. 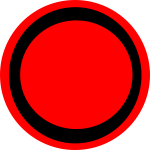 There are wide openings which will access your gear with no problem at all. These were the top 5 hockey bags which in our opinion are the best options for now in 2019. 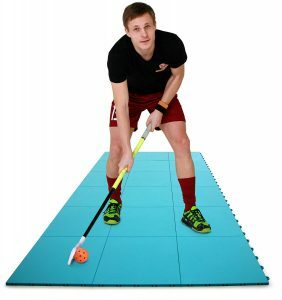 Hope you come to decide after reading a brief review of each hockey bag to select the right one for you. Let us know in the comment section below about which bag did you go with?